Cars is one of the very best Pixar movies and rightly ranks as one of the all-time greatest car films. While it is aimed primarily at children, adults will also enjoy going on Lightning McQueen’s adventure through Radiator Springs as he seeks to win the world famous Piston Cup. Although this is an animation, cars are based on real life brands and you are even able to see animated Ferraris towards the end of the movie. It is certainly one for the whole family. Whether you watch the first or last movie in the popular Fast and Furious franchise, you will be guaranteed to experience high-octane action with some seriously insane stunts throughout the movie. If you like your car action at the highest pace possible, this’ll satisfy your need for speed. Based on real events, Rush will take you on a journey back to the 1970s. Essentially, the film focuses on the rivalry between Formula One drivers James Hunt and Niki Lauda. While racing cars are a huge part of this particular movie, viewers are also taken on a journey through their own personal story as well. You are taken along a great journey as the two drivers, played by Chris Hemsworth and Daniel Bruhl respectively, and their different lifestyles come into competition. In fact, you learn a lot more about their passion for the sport and how you should risk everything in order to achieve your ultimate aims in life. This is an ultimate example of a car movie as viewers are treated to a truly unique experience in Robert De Niro’s taxi. 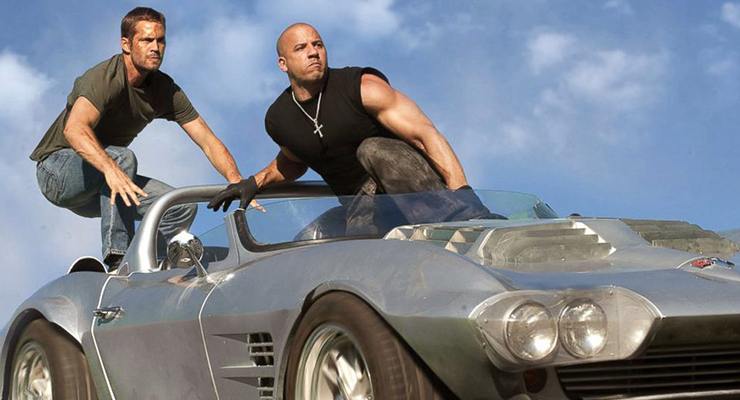 While there aren’t the same levels of action as in the Fast and Furious movie franchise, you will still be gripped by the thrilling storyline. Viewers are taken aback by this study of loneliness, madness and violence and this is one of the main reasons why it appeals to the masses. Will Ferrell stars in this comedic take on a classic American racing driver and he delivers a truly brilliant performance. He creates an almost psychotic carbon-copy of the typical NASCAR driver and takes you on a journey as he tries to compete for the championship. If you enjoy your motor racing, this movie will certainly appeal to you and you are also taken on a journey – from humiliation to triumph and despair to glory. Events on the silver screen are often able to inspire us all. While we’re clearly not going to ‘do a Robert De Niro’ or start driving like the Fast and Furious drivers, the events in these five pictures is enough to inspire us all to love our motors even more – whether we’re a seasoned pro behind the wheel or a learner driver looking for inspiration to spur them on to study for their driving tests. This famous five have cross-generational appeal and deserve to be right at the top of everyone’s go-to list when looking to experience thrills and spills from great films.